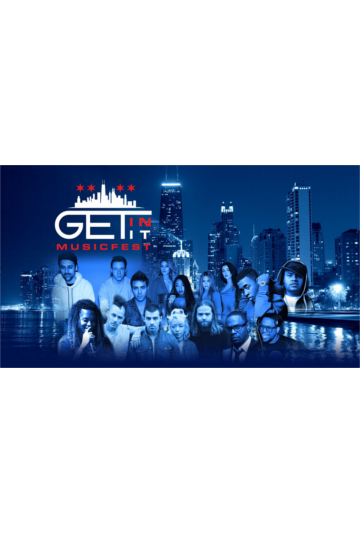 Get IN Chicago is proud to be the beneficiary for the inaugural Get IN It MusicFest at Guaranteed Rate Field on Saturday, September 16! Get IN Chicago is a private, collaborative effort focused on youth violence prevention and its root causes. The organization works to fund, improve, and expand opportunities for acutely high-risk youth, who are those most at risk of gun violence. These young people have involvement in the justice system, prior arrests, and are often truant from school if they are enrolled at all – but they also have talent, creativity, and potential ready to be unleashed with the right support. Get IN Chicago connects these young people with the most promising mentoring, therapy, family, and innovative violence-reduction programs to help them build safer, healthier lives. Programs are concentrated in seven of the Chicago communities where violence prevention programs are most needed. Through Get IN Chicago, 36 corporations and business leaders and 62 nonprofits have already teamed up to reach more than 10,000 youth with prevention programs, but we can do more. Safer communities and brighter futures depend on all of us getting inspired, involved, and invested.